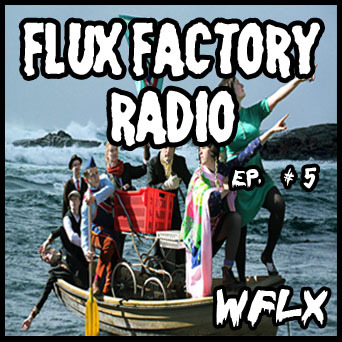 WFLX is a new Flux Factory project, organized by DJ Vinyl Richie with love. 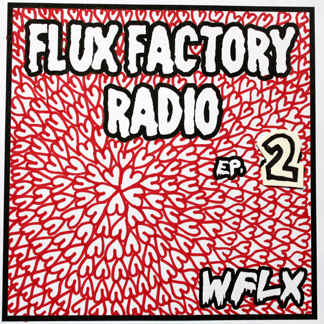 WFLX broadcasts biweekly interviews with artists, play lists by Fluxers, and hype for Flux projects from our humble home in Long Island City. With a revolving and ever-expanding list of artists, writers, filmmakers, curators, performers, and musicians rolling through the halls of Flux, you never know what you’ll hear on WFLX. Episode #5 is from Aarhus, Denmark with love. Vinyl Richie took requests from the visitors of the Flux Factory’s Infamous Outpost, located in the Spanien19c gallery. [EXPAND Episode #4 description]Episode #4 is dedicated to the artists participating in the A.I.R. Time group exhibition, on display at Flux Factory through March 25th, 2012. Album art by Angela Washko. 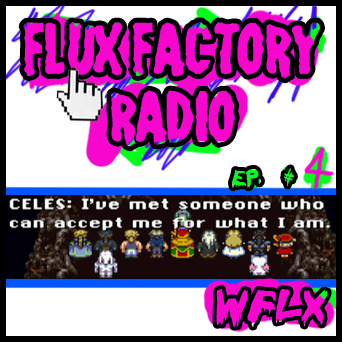 [/EXPAND] [EXPAND Episode #3 description]Episode #3 of the WFLX podcast is straight from the heart. Follow Vinyl Richie as he takes you on an adventure through the Flux kitchen. If you are cooking up an epic meal or washing dishes, this mix will put you in the mood. Album art by Flux Artist-in-Residence Jesper Aabille [/EXPAND] [EXPAND Episode #2 description]Listen to the very special Valentine’s Day episode #2, where we selected songs that will make a quiet love storm over Flux Factory (and a bad joke about a whale, too) on this special day. 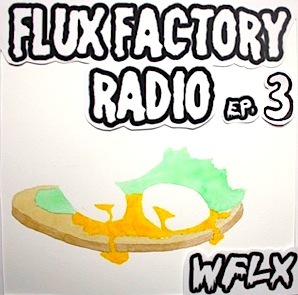 Album art by Flux Artist-in-Residence Wieteke Heldens [/EXPAND] [EXPAND Episode #1 description]The first ever WFLX radio podcast, presented by Flux Factory DJ-in-Residence, Vinyl Richie, and the rest of the Flux crew.